Garden Machinery Direct is a family run business with over 50 years' experience in selling and servicing garden equipment. We're one of the biggest garden machinery retailers in the UK. Based in the Midlands, we're well placed to deliver products across the UK - though we do deliver internationally. We are main agents for all the biggest garden machinery brands, and have fantastic working relationships with world leading manufacturers. 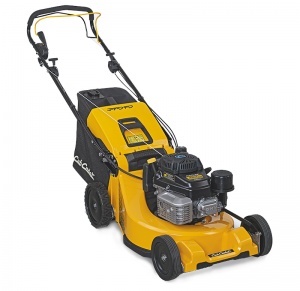 Our goal is to offer customers top of the range garden machinery at discount prices, delivered direct to your door. Our friendly and professional staff are available by telephone or email to give expert advice on the equipment most suited to your needs or to answer any queries you may have. We also operate an efficient spare parts service, utilising the latest computer link-ups direct to manufacturer's stocks. All of the garden machinery we sell carries a manufacturer's guarantee, supported by a nationwide network of authorised service dealers. Please feel free to contact us if you have any questions. You can see a range of our latest reviews collected by the independent review website Trustpilot, below.